Long Beach, Calif. – April 6, 2011 – Following last year’s successful 3D broadcast of Formula DRIFT’s “Round 7, Title Fight” event, DIRECTV and Formula DRIFT take another spin around the track with the production of Formula DRIFT’s 2011 season opener, Round 1: Streets of Long Beach. The race will be the first-ever drifting street race to be produced in 3D and will be available exclusively on n3D, powered by Panasonic, this summer. The season opener will be held in Long Beach, Calif., on April 8-9 and is the only drifting event on the circuit to legally utilize real city streets. The race will debut a new suite of cars and drivers to the Formula DRIFT series and will be co-hosted by DIRECTV Red Zone Channel host, Andrew Siciliano, actress and TV host, Mayleen Ramey, and co-founder of Formula DRIFT, Ryan Sage. DIRECTV will also test new production techniques for this event, including new camera angles of the course and in-car cameras that will give viewers the driver’s perspective of the track. Last year’s final round in Irwindale, Calif., was rated the most watched original 3D program on DIRECTV and continues to be re-aired in 3D on the n3D channel, as well as in 2D on The 101 Network. 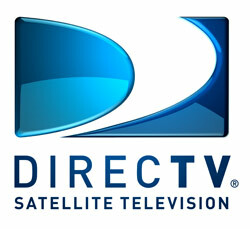 DIRECTV offers more 3D programming than any other television provider in the country. n3D, powered by Panasonic (Ch. 103), the nation’s first 24/7 3D network, is available at no additional cost to millions of DIRECTV HD customers. In addition to exclusive 3D coverage of special events such as the 2010 MLB All-Star Game and the 2010 U.S. Open Tennis Championship, the n3D channel also gives customers access to exclusive, original 3D programming such as DIRECTV’s award-winning series Guitar Center Sessions and Guy’s Big Bite in 3D. The 3D programming available both on n3D and DIRECTV CINEMA are all powered by Panasonic. DIRECTV also offers 3net and ESPN 3D as part of its 3D programming platform. DIRECTV HD customers, who received a free software upgrade that enabled them to access 3D channels on DIRECTV, will need a 3D television set and 3D glasses to view the programming on DIRECTV. For more information on n3D, powered by Panasonic, please visit www.DIRECTV.com/3D.